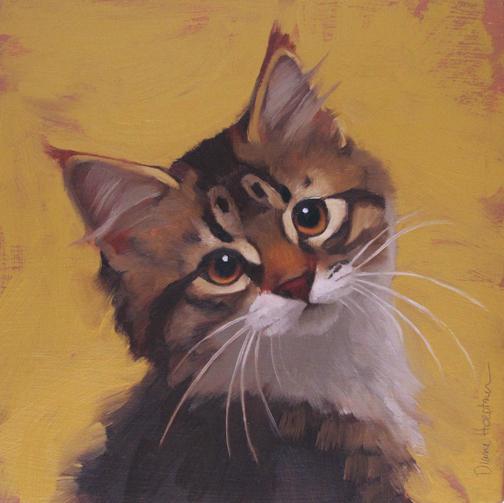 "Rhonda" kitty was painted with only a minimum of "noodling." (Noodling in this instance means blending.) I wish every painting would happen like that. A few take homes I want to take home, err: Mix enough paint to go around, try to make each stroke count. That's it, seems like no brainers... But they are not. And intentional mark making is super hard...in my opinion...good luck with it, but clearly I think your work is already incredible!!! Simply sweet and wonderful! I love the directness of this!!! Beautiful! The eyes are both soulful and ready for action!